Love Never Dies, the sequel to the long-running Broadway hit Phantom of the Opera, is an ambitious, beautiful and seriously flawed musical. Its production values are off the charts high—this is a show to be seen just for the costumes and sets—and the performances are solid to outstanding, but the play itself lacks the polish and stunning music of the original. For everything that is so right about this play, there are things that just don’t stand up. And even worse, it suffers from sequel syndrome: the tendency to rely too much on its predecessor to function as a stand-alone play. This is a mightily ambitious project. No one ever said that Andrew Lloyd Webber failed in vision: here we have a show that wants to continue the story of one of the most successful shows in history. But to live up to that legacy, the new play has to have several things that it lacks: a solid and powerful story, songs that set it apart, and a sense of humor. Love Never Dies has a mediocre and muddled story, only a handful of songs that are memorable, and almost no sense of humor at all. The songs are mostly recitative and bombast, substituting volume for emotion. It has one or two moments of minor comedy, but nothing that really breaks the long, plebeian narrative. And the story, which certainly should be emotionally powerful, never quite measures up to the majesty of the original, and (harsh as it might seem), that is the test it must pass. 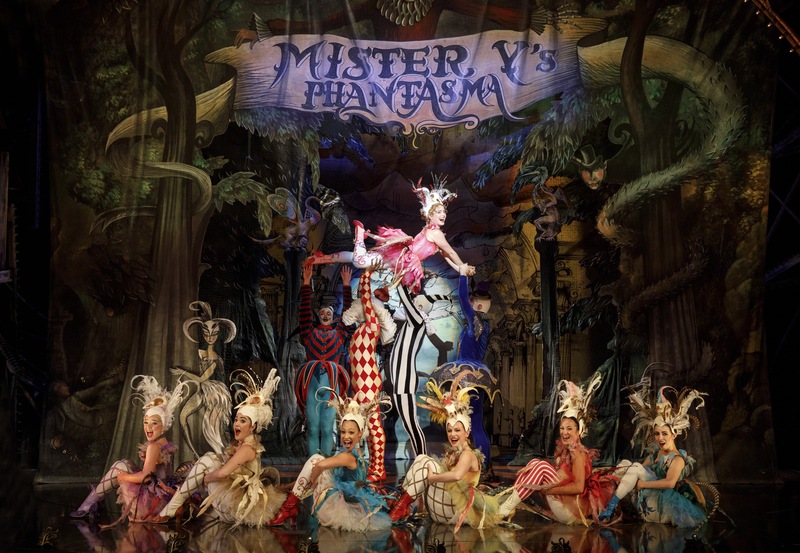 This is a musical that showcases its genealogy: it makes no apologies for being Phantom 2. In fact, it revels in it, building few new plot lines, adding no new major characters, and allowing strains of the original’s music to carry our memories back. That these moments only highlight what is missing in the new play never seems to occur to Sir Andrew: the audience is lifted by them momentarily, but only high enough to see that there is something missing in the sequel: originality. I am one who enjoys the spectacle and power of Webber’s plays. I love Evita, find Jesus Christ Superstar to be a work of genius, and love the original Phantom. Heck, I even like Cats and the certifiable failure, Starlight Express. So I’m obviously not one of those critics who automatically downgrade anything he does, claiming it is nothing but its staging. But here, well, the play is nothing but its staging. Without the glorious sets and amazing costumes (seriously, Gabrielle Tylesova should win a Tony for them, but the play would have to get to Broadway first), fantastic lighting and sound, and the wonderful, outrageous production numbers featuring the ensemble, there would be little memorable about this play at all save for its title song. The story, such as it is, takes place ten years after the original ended with the Phantom vanishing and Christine and Raoul going off together. We are told that two other characters from the original, Madame Giry and her daughter Meg, spirited the Phantom away to New York. Further, we are told in the very first words of the play that he has spent those years pining for Christine, even while cultivating Meg’s talent for his Coney Island Phantasm shows. (Christine has become world famous, yet he never seems to have tried to contact her in all of these years; clearly he couldn’t have been pining all that much.) He may not seek her out, but fate has brought her directly to him: a famed NY producer has brought her to the US to sing. Of course he immediately shows up in her room, intending to break up her life with Raoul and their son Gustave and bring her back to him. The rest of the show is a three-way tug of war: the Phantom and Raoul vying for Christine while Mme. Giry plots how to keep the Phantom with her daughter instead of Christine. 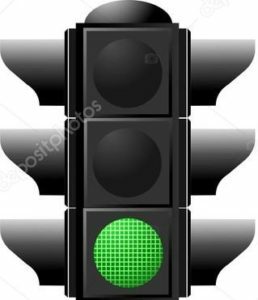 There is another element that is a bit of a surprise, so I won’t mention it, but even though it should create powerful emotions it just ends up as flat as the rest. And the reason is the songs. Only a few of them have any staying power. The musical opens with the Phantom’s plaintive “Til I Hear You Sing,” a number that becomes a show-long motif that grows on you the more you hear it, but there is little memorable in the song itself. A tender ballad between mother and son, “Look With Your Heart,” suffers from the same blandness. It isn’t until two-thirds of the way through Act One that we get some truly strong numbers. 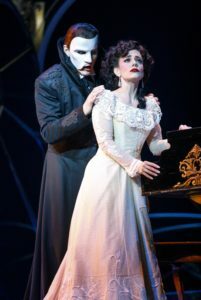 “Beneath a Moonless Sky” is a heartfelt and powerful number sung by the Phantom and Christine as they rekindle their former relationship. “Dear Old Friend” is the one comic number that actually works. And another song/motif, “The Beauty Underneath,” succeeds because of the plot line it reveals. In the second act, two numbers stand out: the title song, sung by Christine, and “Devil Take the Hindmost,” a declaration of war between Raoul and the Phantom. I have not mentioned the two major ensemble songs, “Only For You” and “Bathing Beauty”; though they are also successful, their success stems more from visual spectacle than from any especially wonderful composition. As for the rest, let’s just say that Webber loves him some recitative: it seemed that half of the show was done in this nearly monotone style. The acting, as noted, is solid. As Christine, Meghan Picerno brings the right touch of former ingenue innocence as well as a gorgeous soprano voice. Mary Michael Patterson (a former Broadway Christine) plays Meg and excels, and Karen Mason’s Mme. Giry and Sean Thompson’s Raoul are both splendid. As the Phantom, Gardar Thor Cortes is a bit on the stiff side, but his powerful voice saves him. Christine’s son Gustave is played by a tandem of boys, Casey Lyons and Jake Heston Miller. On opening night, Chicago native Lyons’ beautiful voice was every bit as wonderful as any of the adults. 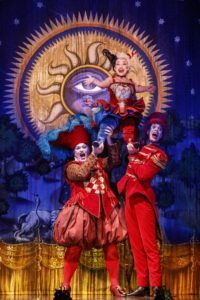 And the only characters new to the sequel, a trio of clowns played by Katrina Kemp, Richard Koons, and Stephen Petrovich lure us into the Phantom’s freak show world with acrobatic joy. 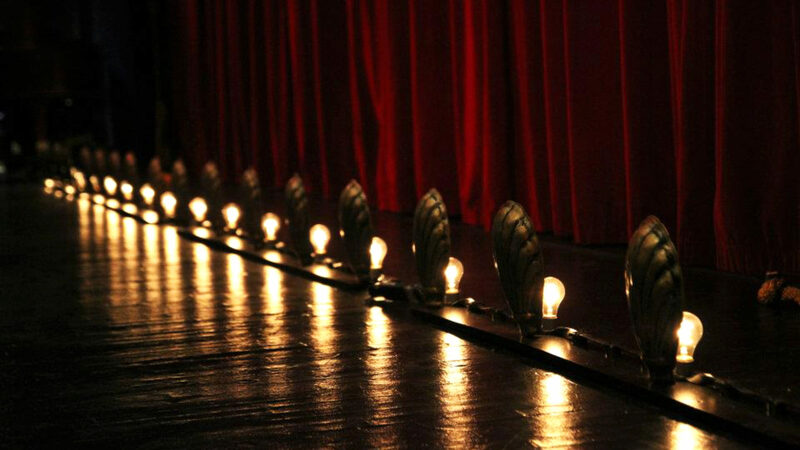 But, good performances or not, what matters most about a musical is whether its writing is good. This time it just isn’t. Even the ending, which wants to be powerful and emotional, falls flat. Love Never Dies wants to be the equal of its predecessor but falls far short. If you want the Phantom, get to New York and see the real thing. You’d need to see it to comprehend this one fully anyway. 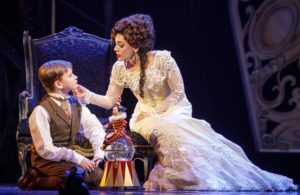 Love Never Dies is in a limited engagement through March 4 at the Cadillac Palace Theatre. Tickets are $35-100 and are available through www.broadwayinchicago.com. I love the sequel. I think it’s a gorgeous and moving production. I love almost all the music!